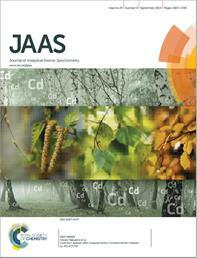 30th Anniversary Issue of JAAS now published! In honour of the 30th anniversary year of JAAS, a special collection is now published to celebrate this significant milestone. Guest Edited by Frank Vanhaecke, Detlef Günther, Gary Hieftje, Joe Caruso, Barry Sharp and Les Ebdon, this collection of papers celebrates the 30th anniversary of JAAS with topics spanning the breadth of analytical atomic spectrometry. We hope you enjoy reading the collection! In honour of the 30th anniversary year of JAAS, a special editorial is now published in Issue 1, 2016 by David W. Koppenaal, Chief Technology Officer, Pacific Northwest National laboratory, Richland, USA. The editorial looks back over the top 30 publications over the past 30 years and provides insight into both analytical trends and citation behaviour over this period. To celebrate this landmark anniversary of JAAS, we are delighted to make the top cited papers free to access for four weeks. We hope you enjoy reading the high quality work the journal has published over the last three decades! The Journal of Analytical Atomic Spectrometry (JAAS) celebrated its 30th Anniversary after the closing ceremony of the 6thAsia-Pacific Winter Conference on Plasma Spectrochemistry (2015APWC) at Xiamen (China) on May 22rd. At the Event, Deputy Editor Rebecca Brodie recalled the origin of JAAS, recounted its history and development, and outlined its current status. With the mutual support of atomic spectrometrists and JAAS, the Journal is ranked as the top journal for original research in Atomic Spectrometry. 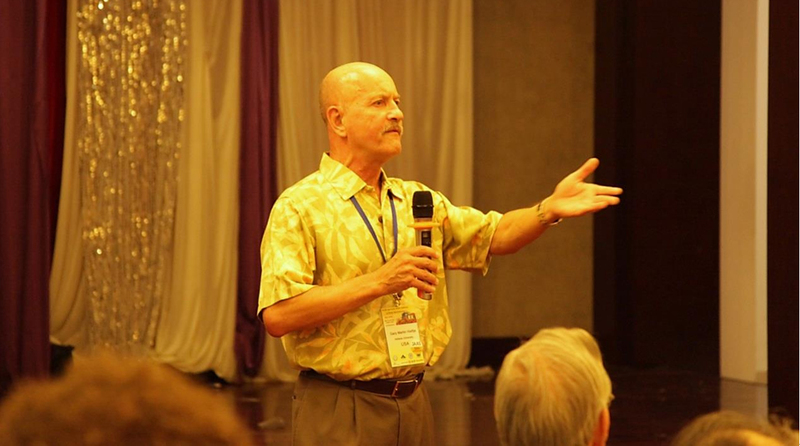 Prof. Gary Hieftje made a speech representing the Editorial Board and International Advisory Committees of JAAS. He thanked JAAS’s contributors and readers for all their support and hoped for its continuation. He also expressed the appreciation of the JAAS board, the conference attendees, and the foreign visitors towards the 2015APWC organizers and staff for their excellent organization of the event and for their hospitality. Members of JAAS Editorial Board and International Advisory Committees, including Dmitry Bandura, Ramon Barnes, Carsten Engelhard, Naoki Furuta, Heidi Goenaga-Infante, Wei Hang, Xiandeng Hou, Zhaochu Hu, Yi Lv, Jorge Pisonero, Steven Ray, Martín Resano, Rick Russo, and Lu Yang, together with RCS Editorial Development Manager Guanqun Song and about 160 atomic spectrometrists attended the event celebrating JAAS’s 30th Anniversary. JAAS 30 Weeks to 30 – Week 30! Well this is it, we’ve reached Week 30, and this time the theme is pearl! Our paper this week is from our Elemental Imaging themed issue. Researchers from the UK are looking at benthic foraminifera, tiny carbonate sea organisms, and using them to look at palaeoenvironmental information and to study the climate of the past. This paper will be free to read until Jan 31st . Thank you for following us on our countdown to the 30th Anniversary of JAAS! We hope you have enjoyed the journey and had a chance to see the wide breadth of research that we publish. We are delighted to announce that the JAAS themed issue dedicated to Barry Sharp is now online. The issue features papers in celebration of Barry Sharp’s significant contribution to analytical science over his career, click through to read the introduction by Les Ebdon. In addition to his extensive scientific contributions, Barry played a key role in the birth of JAAS and as well as being a founding member of the Editorial Board went on to hold the post of JAAS Chair. We offer our sincerest thanks to Barry for all his involvement and support of the journal, which this year is celebrating it’s 30th anniversary. We are delighted to announce we are welcoming nominations for the inaugural JAAS Emerging Investigator Lectureship. Launching to coincide with the 30th anniversary of the journal, the lectureship will be awarded annually from 2015 to recognise and support an emerging scientist working in the area of atomic spectrometry in the early stages of their independent career. The recipient of the lectureship will present their research at a relevant high-profile international meeting and receive a contribution of up to £2000 to cover associated travel and accommodation costs. They will be awarded a certificate and asked to contribute a Perspective or research article to JAAS. The lectureship is open worldwide to researchers working in atomic spectrometry within scope of JAAS who are at an early stage of their independent career. Typically this will be within 10 years of completing their PhD, but appropriate consideration will be given to those who have taken a career break or followed a different study path. Nominations must be received by the Editorial Office by March 1st 2015; researchers cannot nominate themselves and members of the Editorial Board judging panel are not eligible to receive the lectureship. The lectureship winner will be selected by the JAAS Editorial Board based on the originality, quality, impact and significance of the candidate’s research, as highlighted in their nomination. The winner will be selected at the spring Editorial Board meeting and the recipient announced shortly afterwards. To make a nomination please send the Editorial Office a letter of recommendation, nominee biography and publication list no later than March 1st 2015. JAAS 30 Weeks to 30 – Week 25! Week 25 is silver! This week’s paper is from our Nanoanalysis themed issue. A worldwide concern over the toxicity risk of nanoparticles means that it is important to provide analytical tools that can characterize various types of nanomaterials in a sensitive and fast way. In this paper a team from Germany compared three techniques for the characterization of silver nanoparticles. This paper will be free to read until Dec 5th . JAAS 30 Weeks to 30 – Week 20! Week 20 is china! This week’s paper is from 2013’s Top 25 most read JAAS articles collection. A team from China has proposed an integrated microfluidic chip consisting of reaction, mixing, and extraction units, designed and fabricated for on-chip magnetic solid phase extraction. Combined with HPLC-ICP-MS it was used for selenium speciation in selenium-enriched yeast cells. This paper will be free to read until Nov 15th. JAAS 30 weeks to 30 – Week 15! Week 15 is crystal! This week’s paper is from the Geological applications of laser ablation themed collection. In this research pyrite crystals were examined, and the effect of laser type and their analytical paramenters on S isotope fractionation was investigated by a group from Australia and France. This paper will be free to read until Sept 28th. JAAS 30 weeks to 30 – Week 10! This week is tin! This week’s paper is from a themed collection from the 2013 European Winter Conference on Plasma Spectrochemistry, Krakow, Poland. The US Government has classiifed cassiterite (SnO2) as a ‘conflict mineral’. This means that all companies that use tin in their products must verify that their tin does not originate from conflict regions such as the Democratic Republic of the Congo where there is an ongoing violent conflict. In this paper, Gabler et al. look at a geochemical fingerprinting method for cassiterite based on LA-ICP-MS.
You are currently browsing the archives for the JAAS 30th Anniversary category.